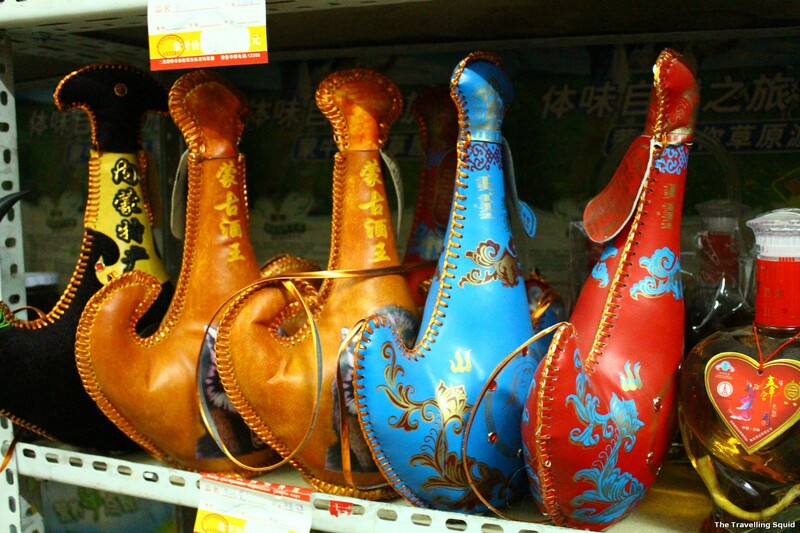 Liquor with snakes – not sure if they are alive? This is a continuation from: Trans Siberian Day 1: Beijing to Er Lian 北京出发! 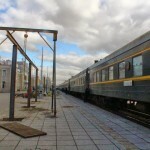 I dedicated a post to each of the border crossings of the Trans Siberian trip, primarily because it’s worth talking about in greater detail. 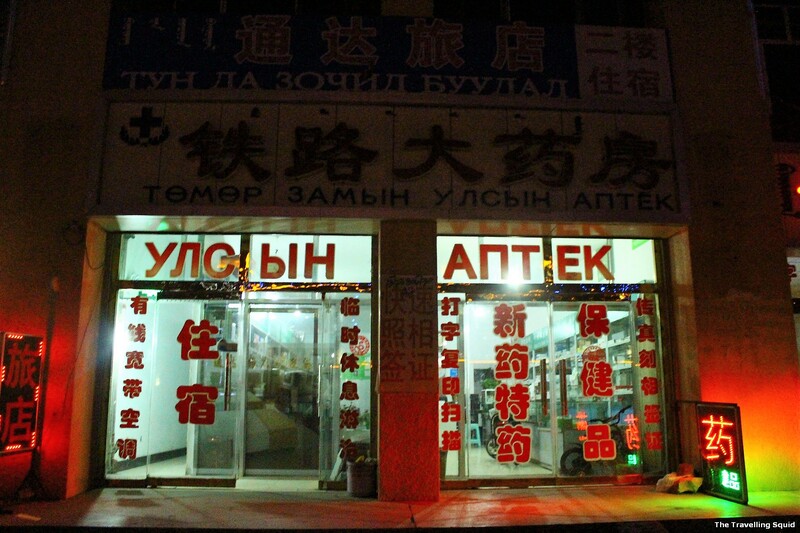 On Day 1 of the Trans Siberian trip, we reached the border town of Er Lian at around 8.40pm. It was cold, with temperatures close to zero degree celsius at night. 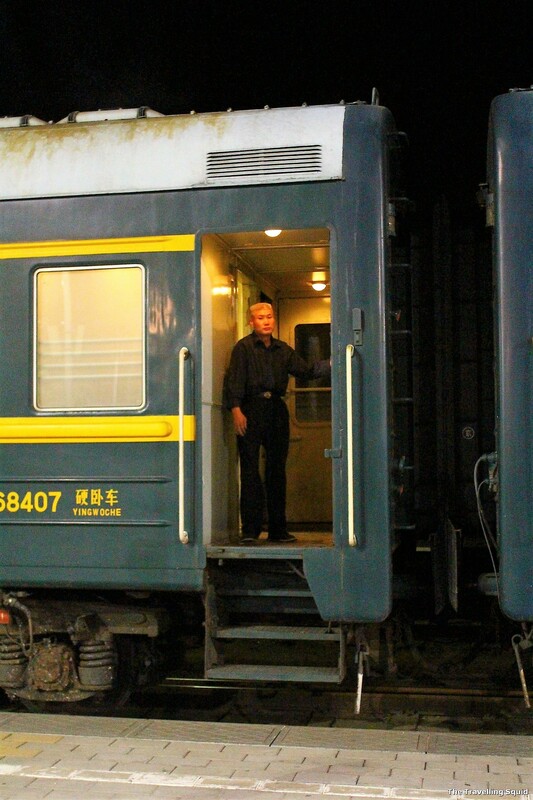 Chinese border officials boarded the train and requested to see our passports. They returned them to us three hours later, before the train moved off. You can choose to get off and walk around the town of Er Lian, or wait in the train. In between, you cannot get on or off as the train will be moved to another location for refueling and the tweaking of tracks. 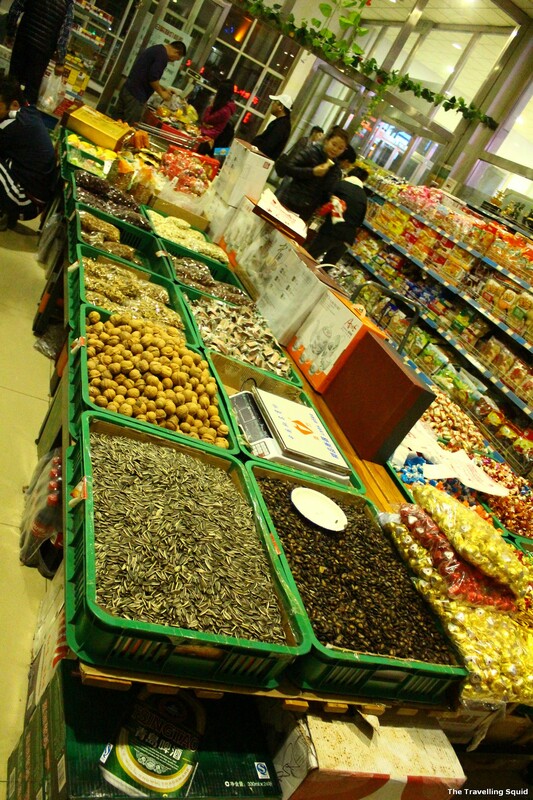 We got off to wander around Er Lian and the train’s grocery shop, which is much recommended in my opinion! From the platform, we headed in the direction of the waiting room and exited the station. There was no need to show any identification as our passport was with the custom officials. 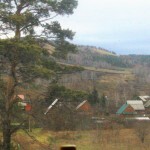 The town of Er Lian, as seen from the pictures, resembled a ghost town in the evening. There’s nothing but a few grocery shops and small hotels near the train station. 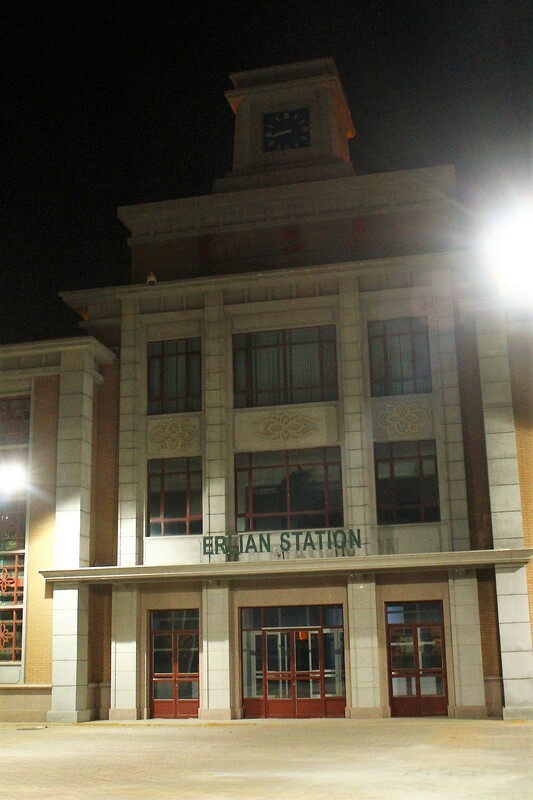 Er Lian – it’s all quiet at night. Feels a bit like a ghost town. Me thinks if you are in desperate need of a bath before re-boarding the train, it’s very possible to use your remaining yuan, for about USD20 to book a room at one of the hotels for a quick shower. That being said I cannot ascertain the hygiene levels of the rooms. Sometimes, some things are just not worth trying. 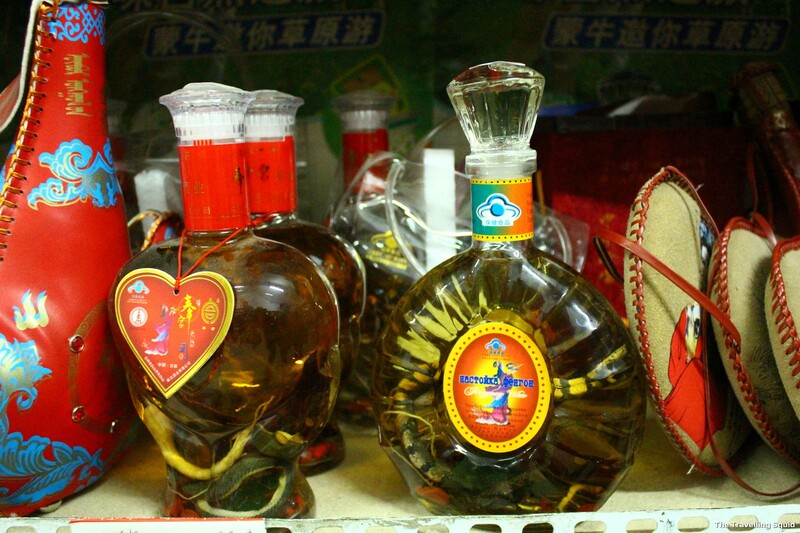 This Mongolian liquor (USD4, RMB25) had a really bad smell and tasted like super glue. There’s an even bigger grocery store in the train station. 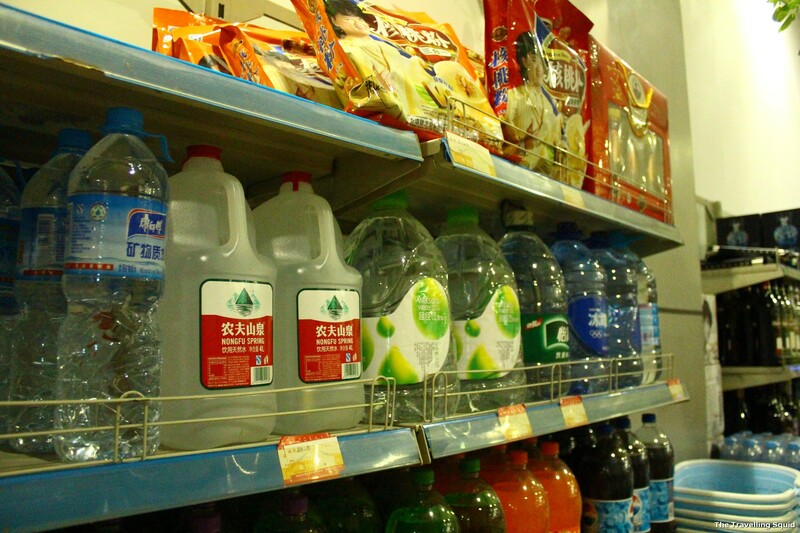 In the words of a local Chinese businessman who broadcasted to the whole supermarket, it’s wise to stock up on food, drink and supplies there and then. He said that while it costs slightly more than Beijing, it will cost three times as much in Mongolia. We are glad we took his advice, as food did cost much more even in Russia, where we alighted later at Irkutsk. Something noteworthy was that we ran out of RMB while paying up for our groceries, and the cashier waived it off, like it was nothing. He didn’t even count the amount of RMB we gave him, much less the amount we owed. Well, the supermarket was brimming Chinese and Mongolians buying groceries, so I think he was making quite a profit. The toilets in the train station of Er Lian are the squat types, unlike the Western toilets you’ll get on the train. They are not the cleanest, but usable. 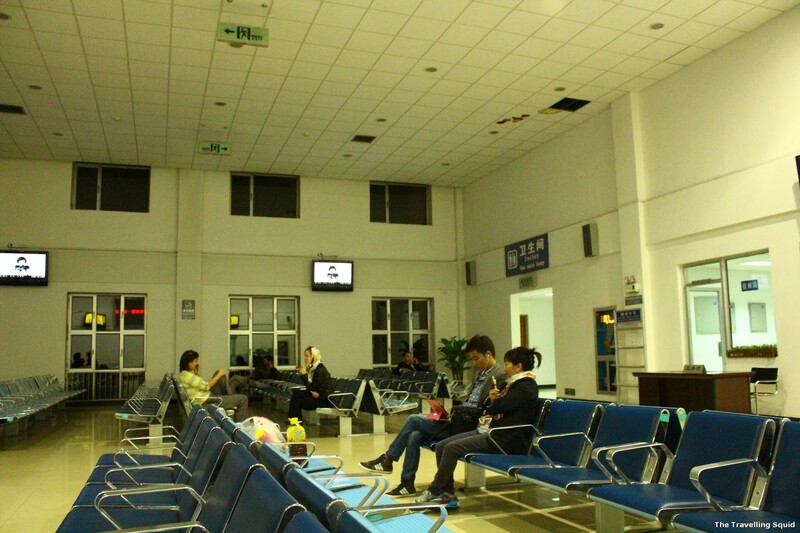 The waiting room on the 2nd floor is spacious and comfortable. Close to 11pm, we got down to the 1st floor to wait for our train. By then, many groups of Chinese and what seem to be Mongolians had gathered, carrying boxes of items. No one was sharing our 4 berth cabin from Beijing to Er Lian and two local PRC guys joined us. They said they were heading to Mongolia’s capital, Ulan Bator to do some business. 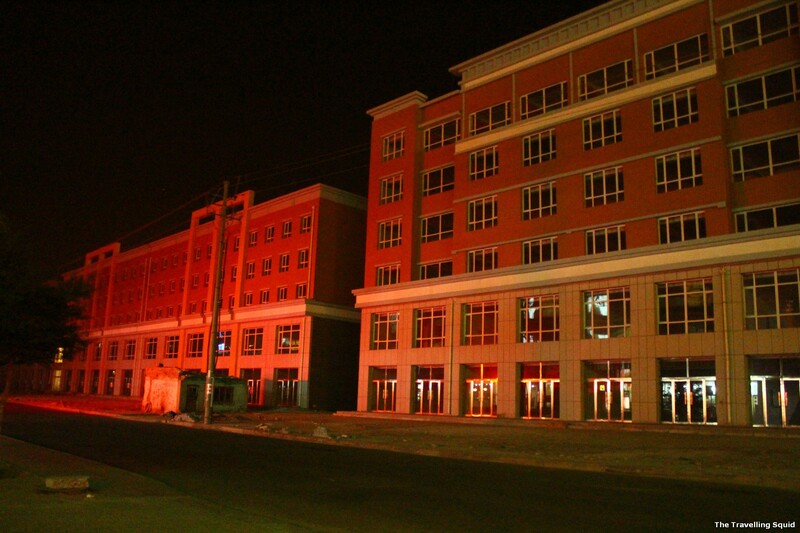 The train moves off punctually at 12am and arrives at the Mongolian border – Dzamin Uud some twenty minutes later. 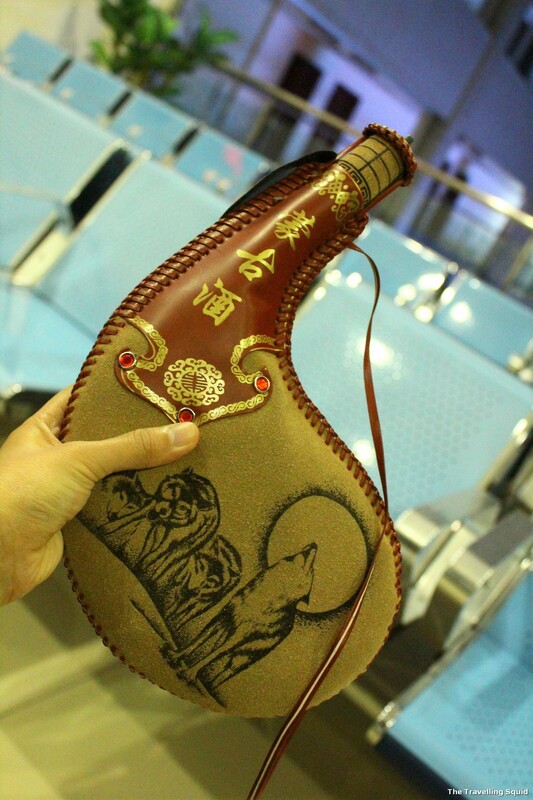 The customs officials were very well dressed, and pretty in a Mongolian sort of way. (Think fair muscular girls with bright red lipstick and exotic eyes.) We were asked to leave the berth so they could check the cabin. A strange sight – a lady with make up and bright red lipstick in army fatigues and boots pulled down the steps of the berth to climb up and look around. It’s probably my first time seeing army personnel so well made up! We were carrying Singapore passports and did not have any problems with the immigration in Mongolia. But our Chinese counterparts were asked to show their passports and visas to the officials a number of times. We are not sure of the reason why. 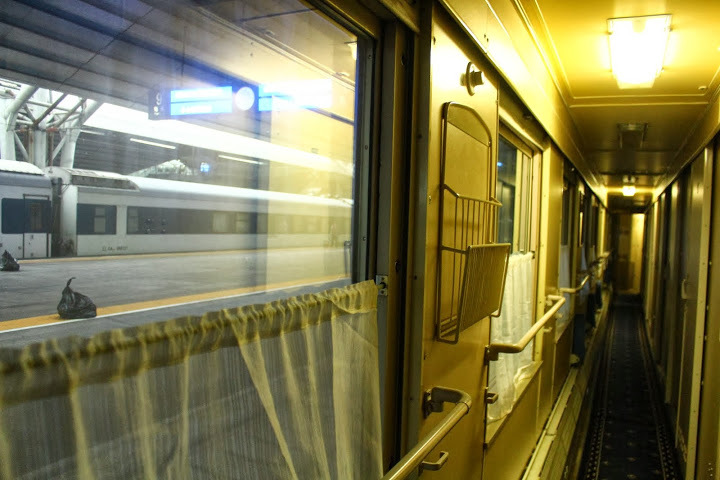 After a long wait for about two hours, we heard the train officials mentioning that some PRC passport holders had been asked to leave the train. Therefore, this goes without saying – it’s important to get the necessary visas and approvals for a fuss free entry into Mongolia. 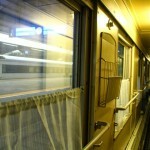 The train finally leaves at about 1.45am in the morning, and we finally can get some sleep. 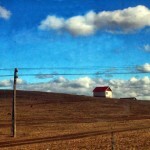 Look out for an update of Day 2 of the Trans Siberian trip – some pretty cool Mongolian scenery coming up. Trans Siberian Day 1: Beijing to Er Lian 北京出发! 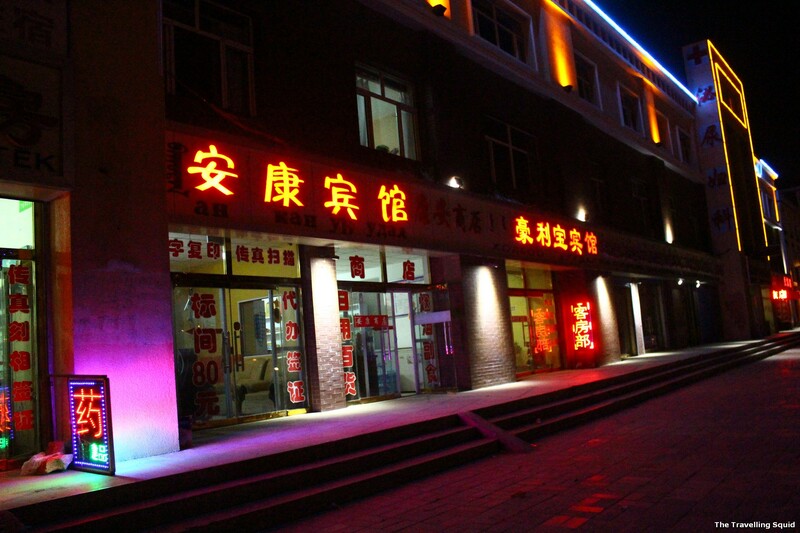 8 Responses to "Trans Siberian Tales: Border crossing from China to Mongolia"
Are the Chinese Customs officers in Erlyan smooth in speaking english? From my experience, not so much, but the signage in English in clear. Therefore, it would not be too much of a hassle to pass customs.